(1) Molybdenum-containing duplex stainless steel has good resistance to chloride stress corrosion under low stress. 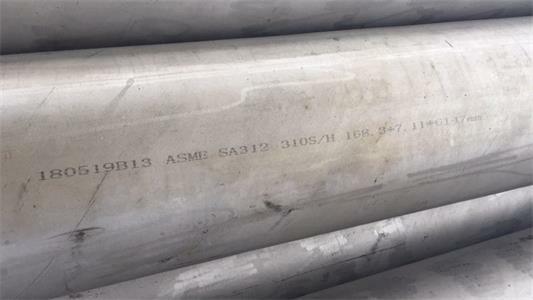 Generally, 18-8 type austenitic stainless steel is prone to stress corrosion cracking in neutral chloride solution above 60 °C, and heat exchangers, evaporators, etc. made of such stainless steel in industrial medium of trace chloride and hydrogen sulfide. There is a tendency to produce stress corrosion cracking, while duplex stainless steel has good resistance. (2) Molybdenum-containing duplex stainless steel has good pitting resistance. The duplex pitting potential of the duplex stainless steel is similar to that of the austenitic stainless steel when it has the same pitting resistance equivalent value (PRE=Cr%+3.3Mo%+16N%). The pitting corrosion resistance of duplex stainless steel and austenitic stainless steel is comparable to that of AISI 316L. The pitting and crevice corrosion resistance of 25% Cr-containing, especially nitrogen-containing, high-chromium duplex stainless steels exceeds that of AISI 316L. (3) It has good corrosion fatigue and wear corrosion resistance. It is suitable for making power equipment such as pumps and valves under certain corrosive media conditions. (4) The comprehensive mechanical properties are good. It has high strength and fatigue strength, and its yield strength is twice that of 18-8 austenitic stainless steel. The elongation in the solid solution state is 25%, and the toughness value AK (V-notch) is above 100J. (5) Good solderability, low thermal cracking tendency, generally no preheating before welding, no heat treatment after welding, and can be welded with 18-8 type austenitic stainless steel or carbon steel. (6) The duplex processing temperature of the duplex stainless steel containing low chromium (18%Cr) is wider than that of the 18-8 austenitic stainless steel, and the resistance is small, and the steel sheet can be directly rolled and rolled without forging. The hot processing of duplex stainless steel containing high chromium (25% Cr) is a little more difficult than austenitic stainless steel, and can produce products such as plates, tubes and wires. (7) Compared with 18-8 type austenitic stainless steel, the work hardening effect is greater in cold working. When the tube and the plate are subjected to deformation, large stress is required to deform. (8) Compared with austenitic stainless steel, it has a large thermal conductivity and a small coefficient of linear expansion, and is suitable for use as a lining for equipment and for producing composite panels. Also suitable for making heat exchanger dies, heat transfer efficiency is higher than austenitic stainless steel. (9) There are still various brittleness tendencies of high-chromium ferritic stainless steel, which should not be used in working conditions above 300 °C. The lower the chromium content in duplex stainless steel, the less harmful the brittle phase such as σ. It is used in heat exchangers and cold showers and equipment such as refining, fertilizer, paper, petroleum, chemical and other seawater resistant high temperature concentrated nitric acid. Requirements for any duplex stainless steel pipe please feel free to contact with Jaway Steel,the original and professional manufacturer in SS wire over 20 years,very expect and welcome your valuable inquiry.